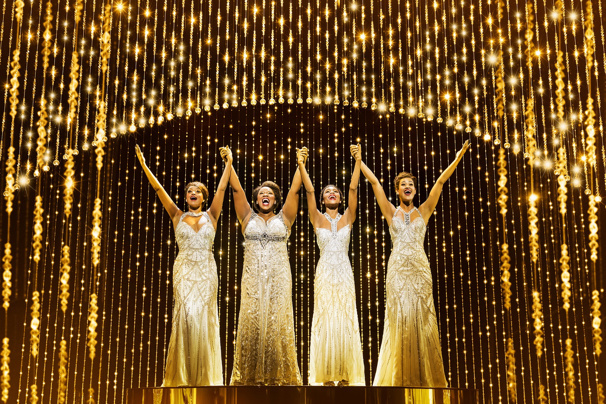 The West End's acclaimed new production of Dreamgirls has announced a final performance date of January 12, 2019 at the Savoy Theatre. The new staging, directed and choreographed by Tony-winning Broadway hitmaker Casey Nicholaw (Mean Girls, The Book of Mormon), will launch a U.K. tour with full dates to be announced. With book and lyrics by Tom Eyen and music by Henry Krieger, Dreamgirls tells the story of The Dreams—Effie, Lorrell and Deena—three talented young singers in the turbulent 1960s as they embark upon a musical rollercoaster ride through a world of fame, fortune and the ruthless realities of show business. The West End's Dreamgirls won an Olivier Award for Glee alum Amber Riley for her turn as Effie and Adam J. Bernard for his turn as Jimmy Early. The current cast includes Marisha Wallace, Moya Angela and Karen Mav alternating in the role of Effie, alongside Brennyn Lark as Deena, Asmeret Ghebremichael as Lorrell, Kimmy Edwards as Michelle Morris, Tosh Wanogho-Maud as Jimmy Early and Joe Aaron Reid as Curtis Taylor Jr.
London's Dreamgirls has been rumored for a Broadway transfer but no solidified plans have yet been announced.